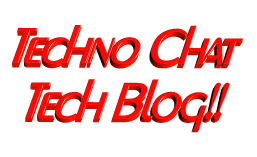 self id unlocker | Techno Chat|Tech Blog!! Posted in Admin Tools, Group Policy. Tagged ad job delegation, AD Password reset tool, AD Tools, delegate password reset job, Domain Tools, ID Unlocker, password reset, password self service, self id unlocker. As being a Windows Administrator, I found that almost every day we spend ¼ of our working time for resetting password and unlocking user ids. I decided to delegate this job to someone else (Yes, I know that it can be done via OU Delegation, but in some complex environment, it’s not a good idea), hence I start coding a tiny tool which will do the job for you. This tool written in AutoIt scripting language, and it will take the help of DSMOD and DSQUERY command. Posted in Windows. Tagged ad job delegation, AD Password reset tool, AD Tools, delegate password reset job, Domain Tools, ID Unlocker, password reset, password self service, self id unlocker.